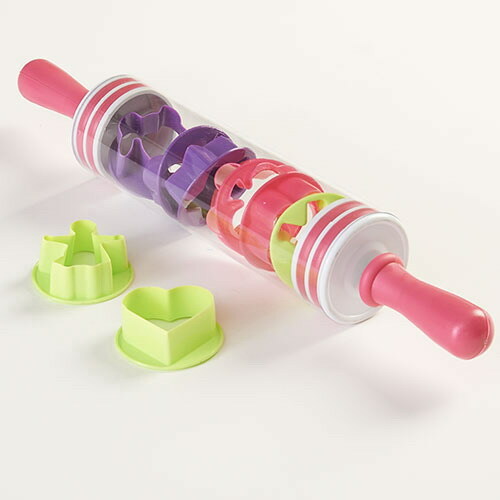 Baking Accessories Manufacturer in Ningbo China, exporting various plastic Rolling Pin with Cookie Cutters. Rolling Pin and cookie cutter set. 1) Packing : Color Box Packing. 2) Color : any PMS color is ok .
4) Perfect for making cookies ,biscuits and more! 5) Removable handles for easy cooke cutter storage. Please Please feel free to contact our team for more details, thanks!